Do you want success in 2019 for your online business? Are you keeping up with the fast-paced digital world? If not then it is time to change as without SEO your web presence is doomed for failure. You must know the tricks and tips by which you can boost your website traffic and ranking in the search engine result pages as the ranking in the SERPs can greatly improve the ROI and conversion rate. The world of digital marketing is constantly evolving which is why adopting the new trends timely is the only pathway to success. SEO is present in the digital sphere for more than a decade now. Along with the changing search engine algorithms and consumer behavior, the SEO techniques have also changed. Individuals who timely adapted to the trends and implemented the new techniques were able to survive the competitive SEO stream. 6 important SEO mistakes that you should. Generating original content is a big issue nowadays as there is a lot of information present on the internet already. Unique and new content is the best way of promoting your work and improving SEO. Although, there are some companies who do not consider plagiarism as an important factor and plagiarize the work of others. Search engines have the ability to detect plagiarism; hence, they do not rank those pages that contain plagiarized content. Originality is the basic component when it comes to content. Content is still the king and quality is preferred over quantity. Google provides guidelines for content and what methods to avoid. Invest in a good content resource for unique content. It is not necessary that you always present some new ideas. But you should come up with new ways of presenting the existing ideas. For improving your SEO strategy, you must adopt a unique style of presenting your content. Utilizing content marketing techniques can help you in not only avoiding plagiarism but also let you create content that is engaging and worthy of going viral. It is not a good idea to overemphasize the power of keyword in SEO. Though, you cannot boost your SEO by using too many keywords. The keywords must be used strategically in the content. Using a lot of keywords in a small article will make it look spammy. The keyword stuffing cannot bring you conversions as the people may get to open your site but they will not spend much time on it. So, instead of using a lot of keywords, you should target a few good keywords which can help you to rank your site higher. Consider using LSI keywords to get rid of overemphasizing the keywords. A good SEO strategy is never based on a fixed algorithm rather it changes the algorithms according to the search engine requirements. But it does not mean that you should create targeted content for these algorithms. The major goal is to bring a greater number of visitors to the site, attract them with the content and then sell your products and services. You can also create meta tags, and titles that are algorithm-friendly and will give you a better ranking in the search engine but these strategies may fail to keep the users on site for a longer period of time. Do not only focus on bringing users to the site. You must also focus on gaining and retaining new clients. Hence, create good quality content that can attract the clients so that they can spend more time on the website, and they come back to the site again. Search engine giant, Google, has started the local SEO option in which the companies can provide information about their location and their target audience. Google labels this feature as Google My Business (GMB). If a user searches for some specific business, Google will bring the nearest places first. Therefore, if you have not provided the complete information of your business such as location, services, and other useful data, then search engine will not rank you and will list the other organizations that are providing the similar services and have updated their information. This feature can help you to target the local market. 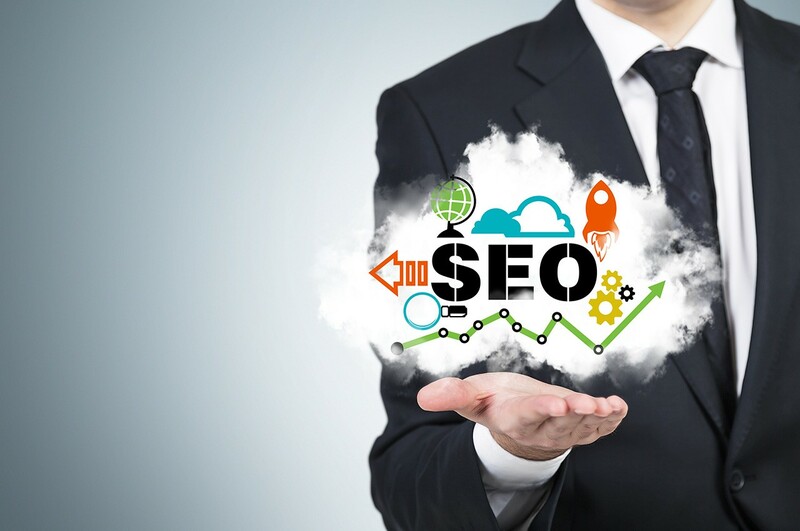 Therefore, do not ignore it and make it an important part of your new SEO strategies. It is very important to evaluate the performance of SEO. As without analyzing the performance you cannot know how your SEO is working. Most of the businesses do not asses the performance of their SEO and keep on implementing the strategies. For positive results, it is essential to analyze the performance of current SEO strategies. There are different tools that can help you in analyzing the SEO performance of your business like Google Analytics. It can help you check metrics such as organic site traffic, bounce rate, conversion rate, click-through rate, page views, and nature of visitors. From this information, you can get to know which SEO technique is working better so that you can implement it more. Most of the business owners hire PHP programmers for building and maintaining their sites but do not pay much attention to SEO which results in low traffic and conversion rate. Have you organized your website in a way which the user wants? Is your website design mobile responsive? If not, then it means you are ignoring user-friendliness which is an important SEO factor. Site optimization is an important factor in the ranking game. Keywords and meta tags cannot keep your users on the site for a long time but an easy to navigate and responsive layout can. Avoid going for over-the-top designs that look aesthetically pleasing or high-tech. Majority of the users online are not tech-savvy and tend to get overwhelmed by sites that are difficult to use. User-friendly sites tend to have a higher user retention rate. So, get the opinion of a UX designer and make your website as simple to use as possible. The SEO trends change every year. You cannot improve your SEO if you will not update the SEO strategies along with the changing trends. Different SEO trends like content syndication, video marketing, and influencer marketing were not a part of SEO a few years back. But now these strategies play an important role in bringing positive results. So, it is not a good idea to stick with old methodologies. For example, voice-based searches are the rage this year thanks to Google Assistant, Siri, Cortana, and Alexa, etc. The number of people using voice recognition for day to day searches is increasing and trends indicate a high demand for voice search SEO. Early adopters have started implementing voice search on their sites and their efforts will be visible soon. We hope that you will improve your SEO strategies by learning from these common mistakes. Businesses that just hire software developers for building the site and then leave the site cannot get success in the competitive world of SEO. There is a dire need for implementing the right trending strategies for getting fruitful results. Let us know how this article has helped you in improving your SEO. Anne Taylor is a serial blogger with technical and business background. She loves writing about digital marketing, IT industry and workplace productivity. She is currently the content writer for Hire PHP Developers. How To Know If A Digital Marketing Agency Is Right For You ? But do we really get anything from google analytics to improve SEO, i have integrated analytics to my site and just get the normal stats but what are all the parameters i can look in to get a better SEO idea. Good post, it is vital to get a balance when you put keywords in to your post. Too many of them does look spammy and pushy. Quality content with right amount of keywords is important. Nothing new here is everything I already knew and what people are practicing for years. What major mistakes I see of SEO’s is they do not give attention to their website loading time and that causes them a great deal of lost online business. Yes, You are right that Speed is one of the ranking factors which is much more important than other thinks. Nice article.These are basics and yes one should avoid these.